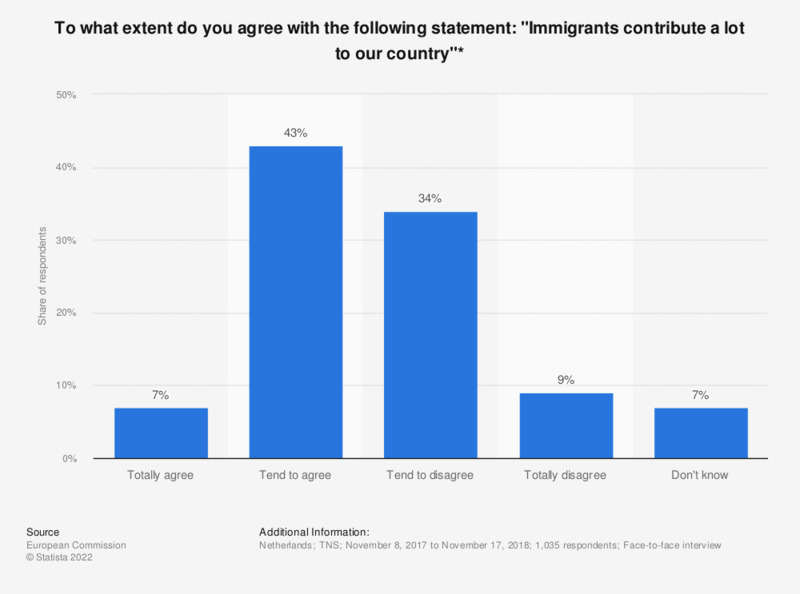 This statistic shows the outcome to the survey question: "To what extent do you agree with the following statement: "Immigrants contribute a lot to our country"? *" As of 2017, roughly 30 percent of the Dutch respondents replied they tend to disagree with the statement. * This question was phrased by the source as follows: "To what extent do you agree or disagree with each of the following statements? Immigrants contribute a lot to (our country)". To what extent do you agree with the statement: "immigrants contribute a lot to our country"? Overall, do you think immigrants from Poland make a positive or negative contribution to life in Britain today?